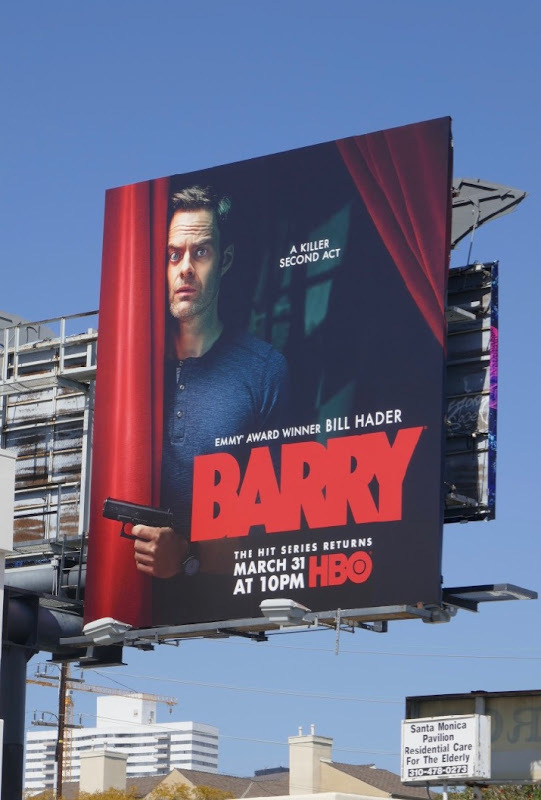 This spring it's time to draw back the curtains on a second season of HBO's offbeat dark comedy starring Bill Hader, Barry. 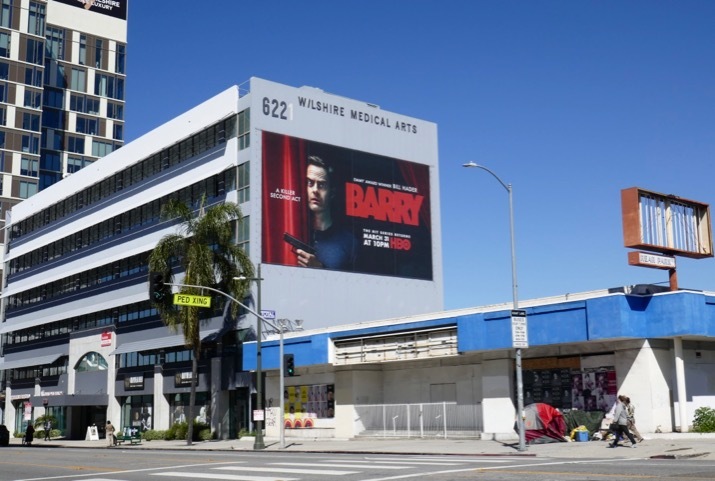 The SNL alumnus and his co-star, Henry Winkler, both picked up an Emmy Award for the debut show about an unhappy low-level hit man who moves from the Midwest to L.A. and finds new meaning in the city's theatre arts scene. 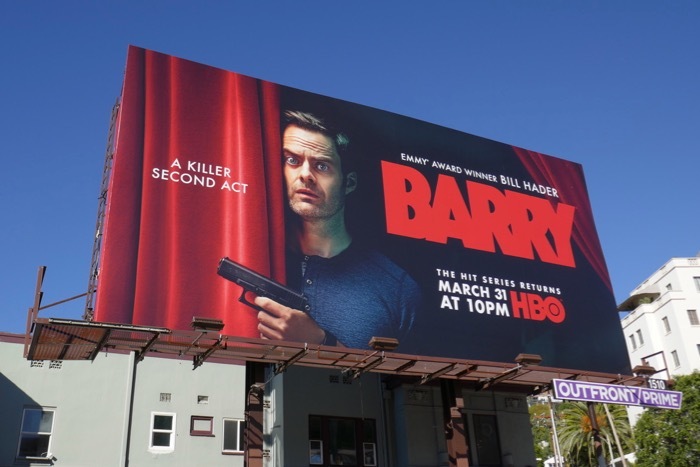 Will the killer comedy be able to keep audiences laughing, and will 'Barry Berkman' be able to keep his acting class and criminal assassin worlds from colliding. 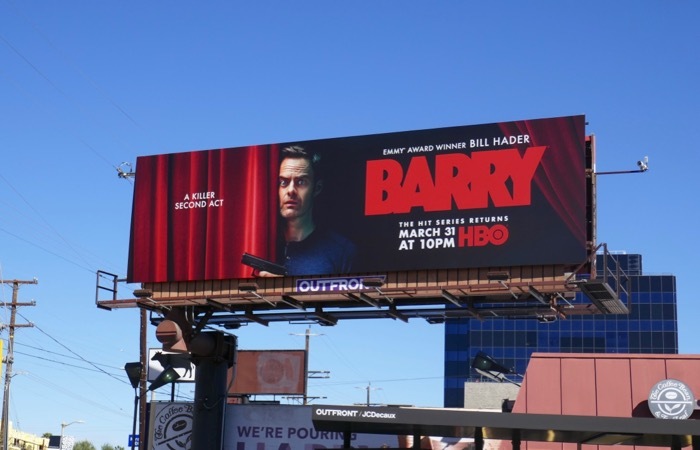 These season two billboards were spied along the Sunset Strip, 3rd Street, Santa Monica Boulevard and Wilshire Boulevard from March 12 to March 18, 2019. 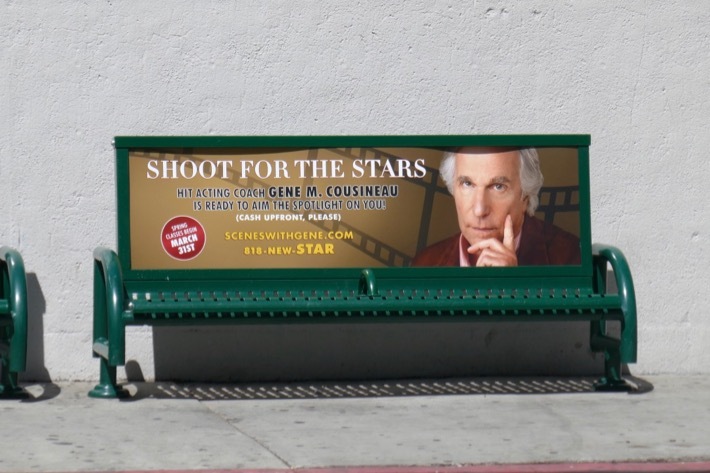 Meanwhile this faux bench ad featuring Henry Winkler's acting coach 'Gene M. Cousineau' was snapped along Beverly Boulevard on March 26, 2019. 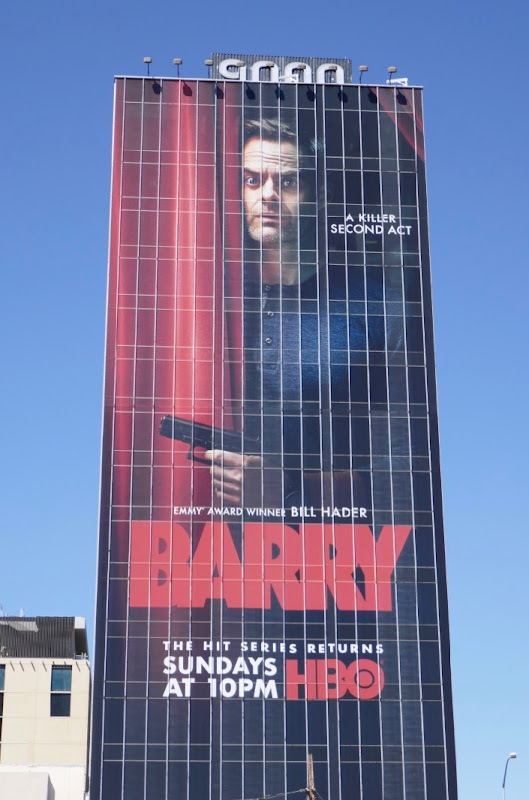 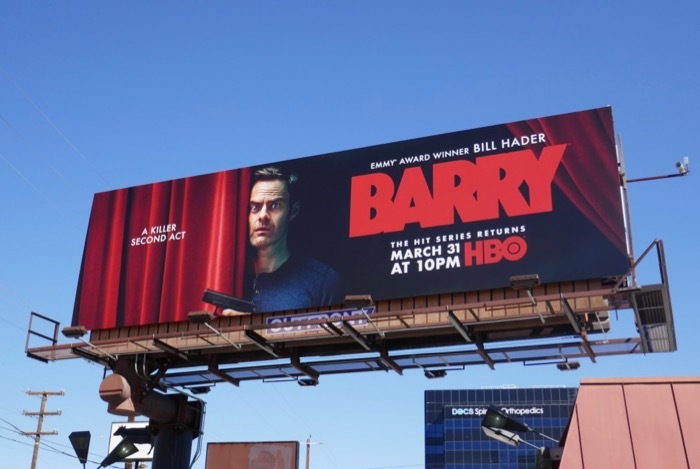 Fans of the show can also enjoy these Barry season one billboards, plus for more Bill Hader be sure to take a look at these Trainwreck movie billboards too. 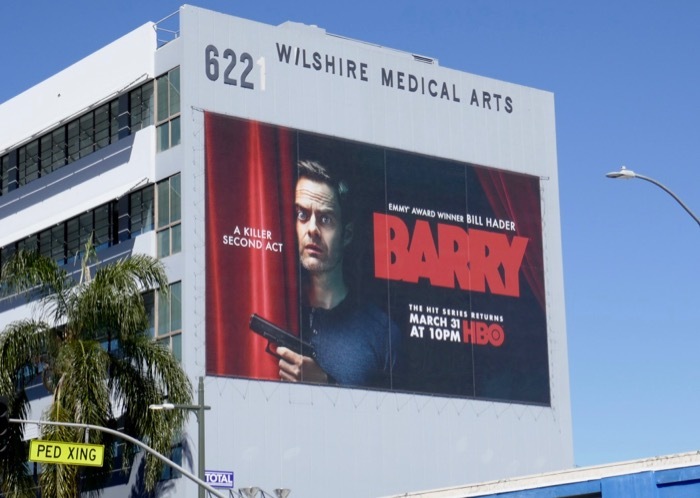 The show must go on, so get ready for a killer second act and let's hope Barry doesn't have to break a leg, or two, this season to keep doing what he loves. 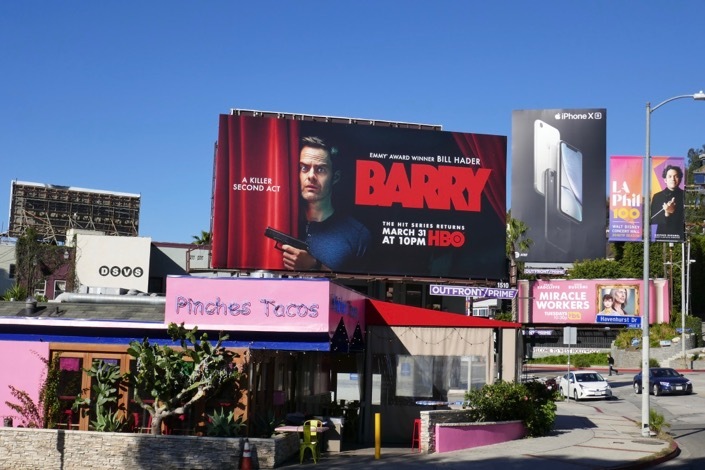 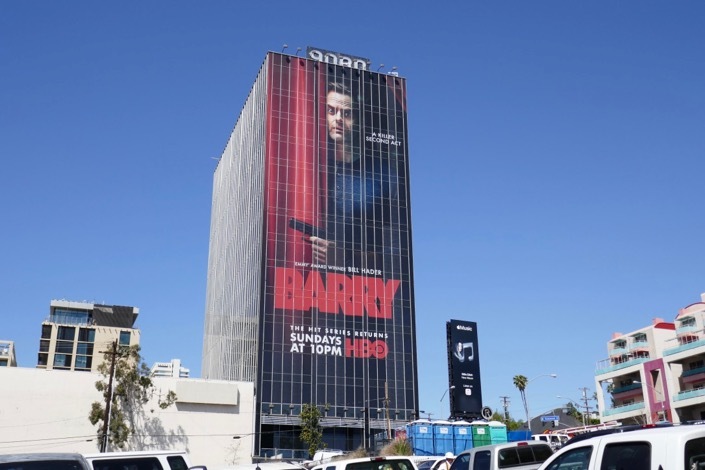 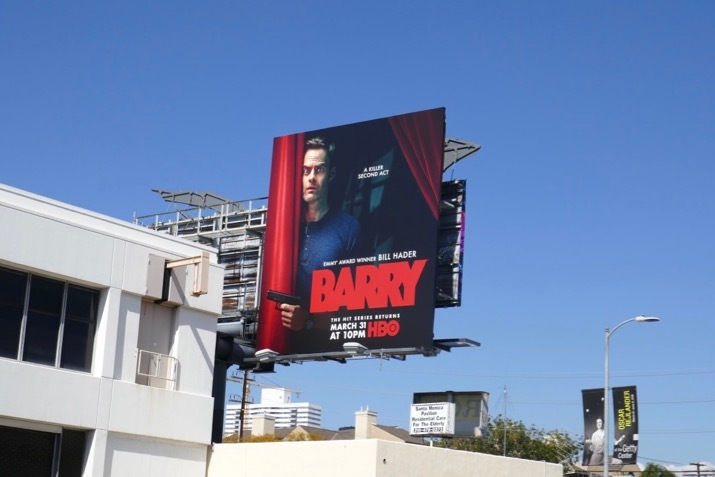 UPDATED: Here's also another super-sized billboard for Barry's second season spotted towering over westbound traffic along the Sunset Strip on April 9, 2019.